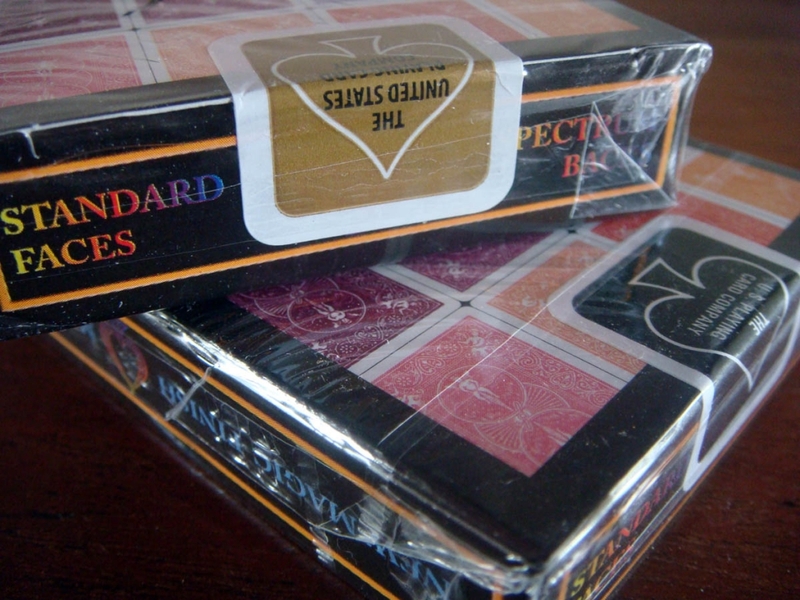 A little bit late, I know, but they are at last in my hands! 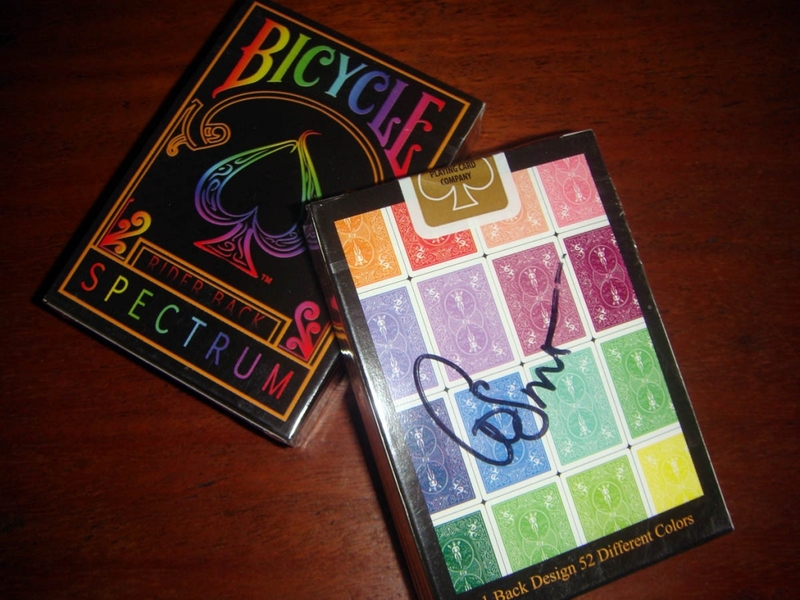 Bicycle Spectrum deck, directly received from a good friend, the great Cosmo Solano, magician and creator of this amazing deck specially conceived for magicians (and collectors, of course). 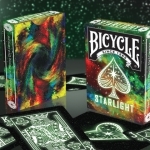 After a successful KickStarter campaign, funded more than seven times the initial goal, magicians and collectors all over the world already have the only TRUE Bicycle rainbow deck! 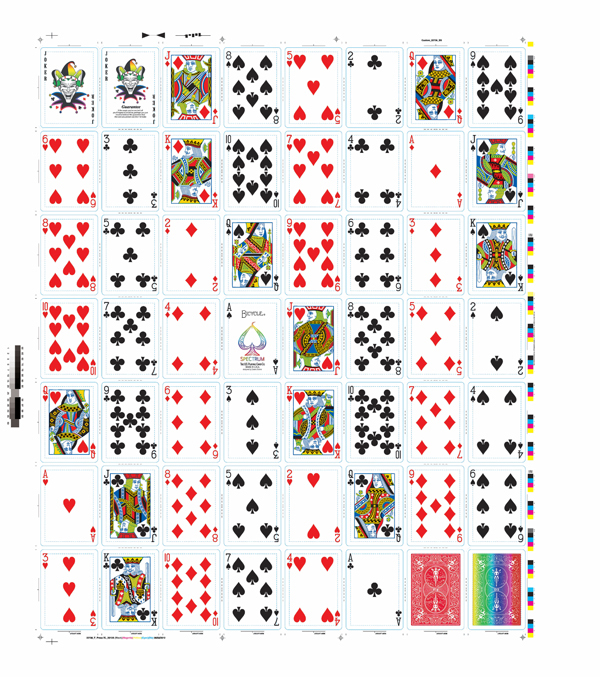 A bicycle deck with regular faces (with customized ace of spades and jokers) and 52 different colored backs. 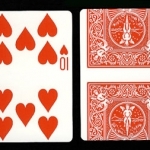 Apart from reveal joke, this deck includes two gaff cards for magic performances. 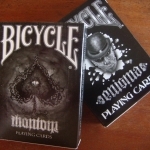 A Bicycle quality deck with Magic finish. 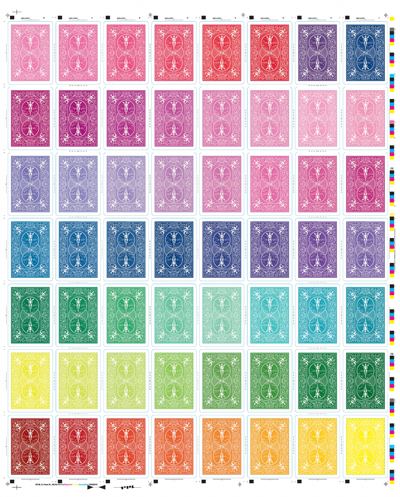 Find my photos with both versions. 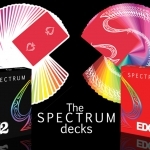 Cards are identical but the first limited edition (2500 decks already sold out) had a gold seal while the rest editions have the traditional USPCC black seal.